Schlagwerk CHH12 Cajon HiHat 12"
Schlagwerk CS10 Cajon Splash 10"
Schlagwerk CS12 Cajon Splash 12"
Schlagwerk CCR14 Cajon Crash-Ride 14"
percussion CHH12 Cajon HiHat 12"
The Schlagwerk CHH12 Cajon HiHat 12" is a cymbal pair that was developed especially for Cajon players. It consists of high-quality B20 bronze and is hammered by hand under high quality demands in Turkey. 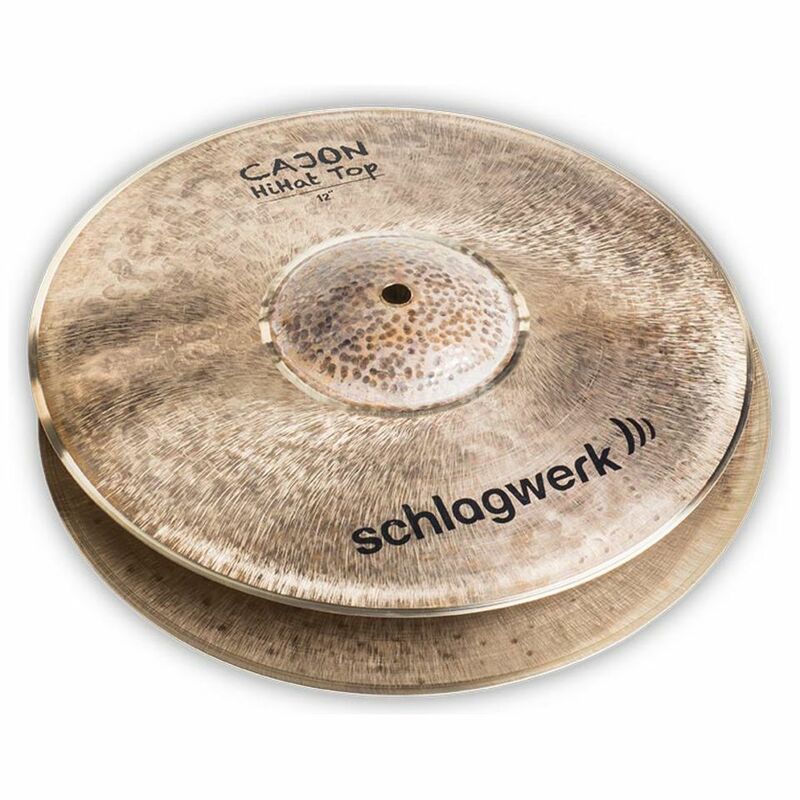 For drummers who want to play an unplugged gig and put together a Cajon drumset, the Cajon Cymbals from Schlagwerk are the perfect choice. Whether struck with rods, sticks or hands, the result is always a full, assertive sound with balanced sound characteristics. The surface is brushed, which makes the clay slightly duller and more uniform.